Who would actually imagine that there can be some innovation in the mosquito repellent technology. But a new FMCG company named ‘Global Consumer Products Ltd’ is focusing on the household insecticide segment by developing innovative products under the brand name ‘DND – Do Not Disturb’. According to them, the household insecticide market in India is pegged at Rs.4500 crore which is both underpenetrated and has much lower per capita consumption compared to any developed market. Let us check out all the products to know what is so new about them. One of the biggest problem in normal liquid vaporizers found in the market is that, you never know if it is working or not. Along with that, we are never sure that if the vapors will reach every corner of the room. In most cases I have seen that people are not satisfied with the result. But DND Turblo Liquid Vaporizer has a Turbo Fan which helps the vapors reach every corner of the room easily. The fan is compact yet powerful in performance and you will definitely feel the difference as compared to any other liquid vaporizer in the market. The fan is very silent yet extremely hardworking so that you can keep it on while you go to sleep proving the point of Do Not Disturb. The vapors travel round the entire room creating a preventive shield that does not allow mosquitoes to enter the room. Considering the technical specifications, the fan consumes 5V and 0.98 W power. Overall the Turblo Liquid Vaporizer consumes 5.3 W power and runs on 230V AC current, that means you can directly plug it in your wall socket. It has a power LED indicator in the front with a toggle switch for Turbo Booster Mode. Green LED indicates Turbo mode while the Red LED indicates Turbo Booster Mode. Gone are the days when you used to directly burn the coil with one weak stand support. There was always a chance that someone might get burnt due to the open burning of the coil. The new DND Aeromax coil diffuser is a compact case that encloses the burning coil while being extremely safe to use. The innovative feature here is the turbo fan located at the bottom of the whole case which helps the coil to work faster. 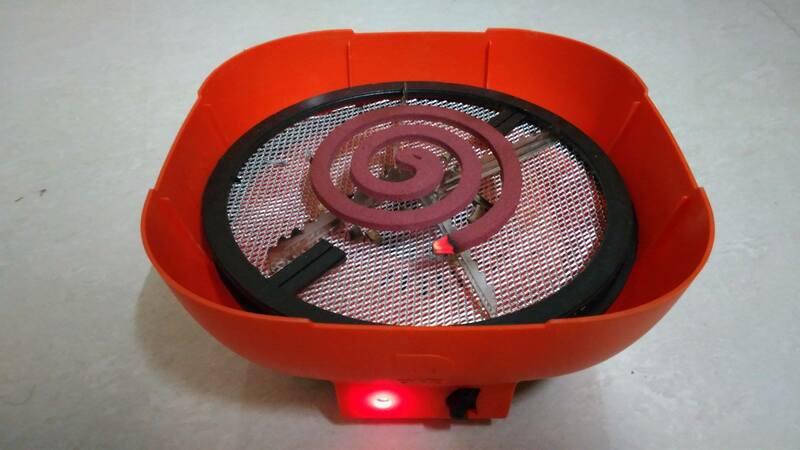 It enables the vapors from the coil travel around the entire room (a total 360-degree effect) thus giving complete prevention from mosquitoes. 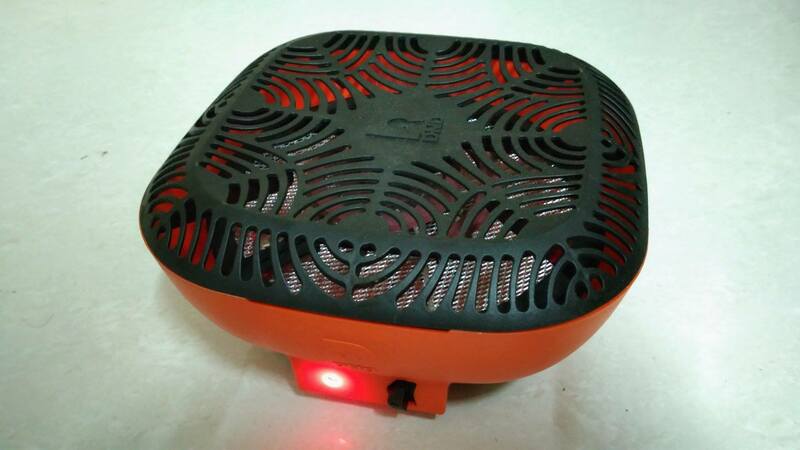 The fan specifications are the same as in the case of liquid vaporizer. Unlike the liquid vaporizer, this coil diffuser is re–chargeable(3.8 V battery) which provides ultimate portability to this device. You get a DC charger to charge the coil diffuser. There is a switch at the bottom to turn on/off the turbo fan. They have this amazing fragrance which spreads across the room when you light up the coil. 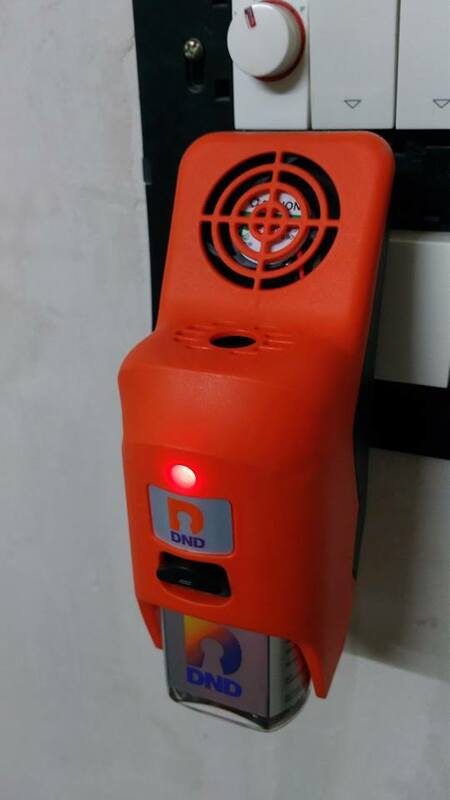 This is basically an extremely powerful and compact spray which will kill and repel mosquitoes With just 4 shots per room in four corners you get a 12 hours prevention from mosquitoes. The fragrance is pleasing so that you can use it while you are present in the room. They say that Nanosol is the quickest and most long lasting effective product ever launched in India and has the power of 5 ordinary spray cans. I tried it in my room while sleeping and it works excellently. So these are some innovative DND products which did help spread the active faster and work in every corner of the room. I have tried all the DND products to experience the difference between the current products sold in the market and the new range of DND products. You can definitely go ahead and try these products to prevent the entry of mosquitoes in your home and guarantee yourself with a preventive and great new solution.